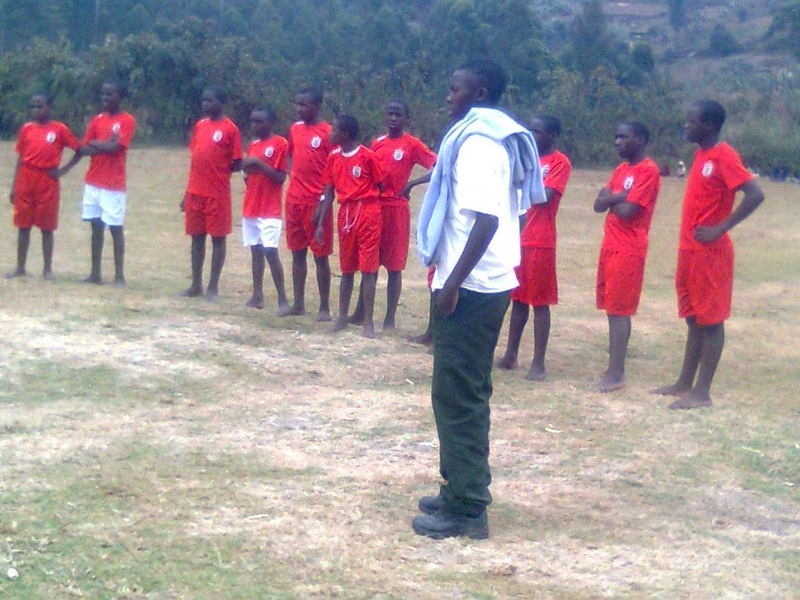 On Friday 8.2.2013 our School team scored 2:2 to God cares school at kandihe community soccer ground. Below is Rubanda Solidarity younger stars team that made the surprise. They are proving out to be the young Cranes in Rubanda. 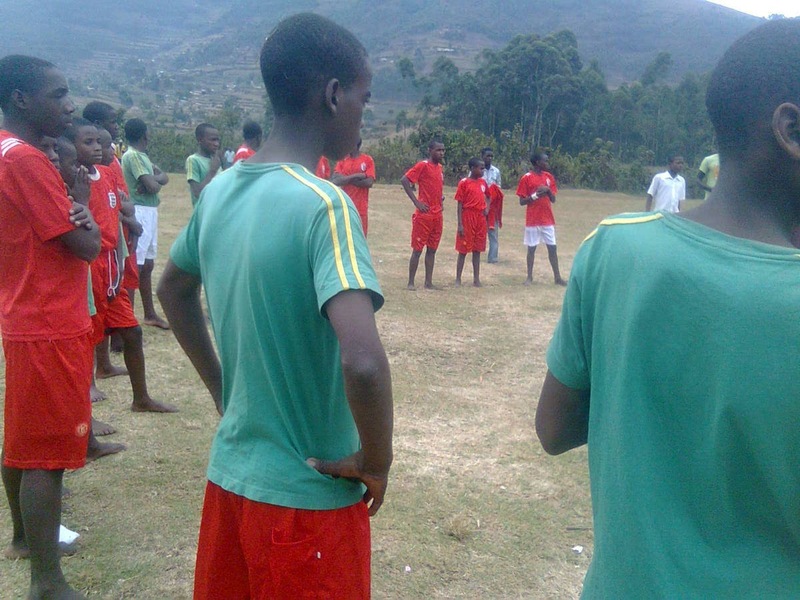 Their greatest hope is to see their new soccer field ready so they can have daily field practice. 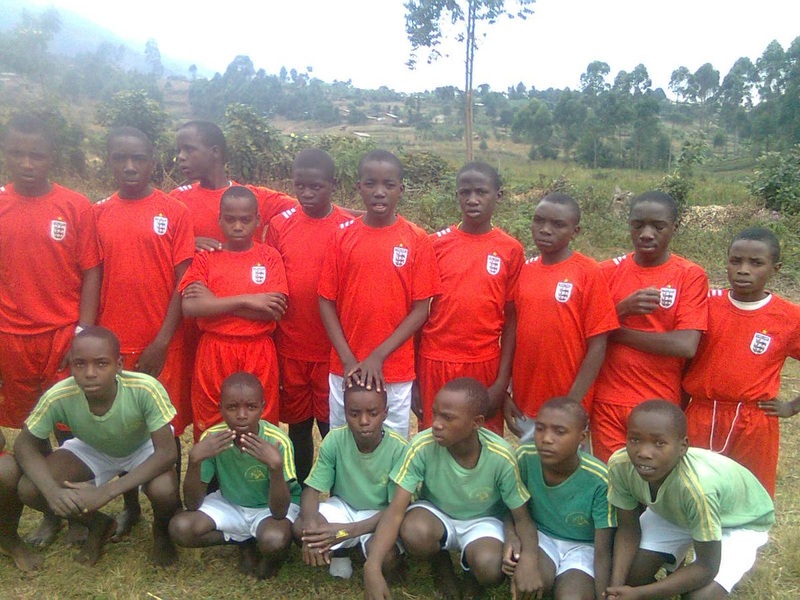 Thank you Yamba Abaana USA and Uganda for all your efforts to fulfill the hopes of these young-stars. Long live to all of our supporters. Teacher Salvius gives final coaching techniques to his team before a soccer competion. The Yamba Abaana Uganda is keeping the soccer field work in progress while the Yamba Abaaba US keeps a close eye and support to the community development. 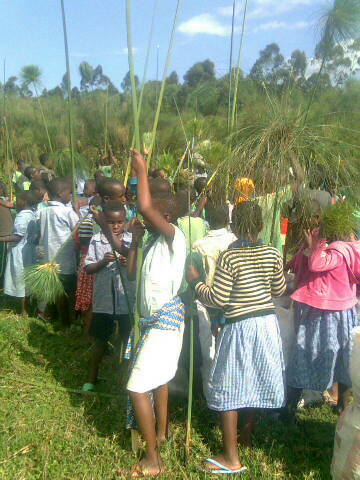 "We need the field ready for our kids by next year 2014" says one of the community members. Here below is the progress in Rubanda through pictures. Yamba Abaana Uganda group working on the soccer field take a rest in the field to quench the thirst with a soft drink 2013. Using a hoe is tough for a vast area of land. Unity is the only solution to success.